Earlier this summer we told you the story of Grant Reed, a 12-year-old Ohio State fan who named his brain tumor "Michigan." Reed, whose parents met as members of the Buckeyes marching band, defeated the cancer and was released from Nationwide Children's Hospital in early July. There is an update to to the story, as the lifelong OSU fan made a new friend after the story of his treatment came out: Michigan head coach Brady Hoke. 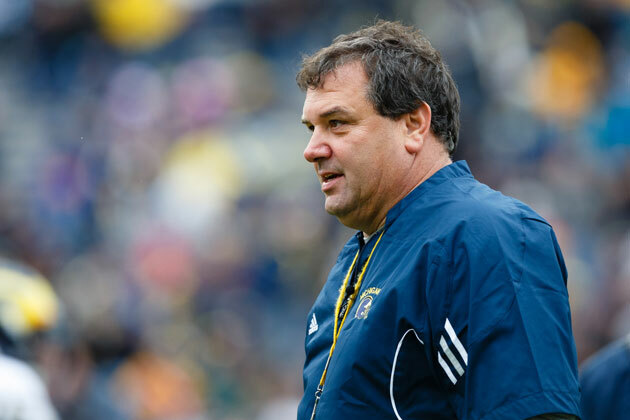 Hoke called the Grant on Monday, offering him some words of encouragement and four tickets to this season's Ohio State/Michigan game up in Ann Arbor. "He gave a very clear yes," Grant's father Troy told NBC4i. "He's very excited." The Rotary Club of Jackson, Michigan has also offered to pay for the Reed family's hotel while attending the game, making the it more and more difficult for the family of Buckeye supporters to hate the Wolverines. "It's getting hard to keep my dislike for them, because they've been so classy and unbelievable to us," continued Troy. "But it won't be hard to cheer for the Buckeyes in November." The Buckeyes will visit Ann Arbor on November 30.